Small businesses know they need an online presence to succeed. Being successful on the Web takes more than just a nice- looking website, though ? it takes a website that people can find when they search. 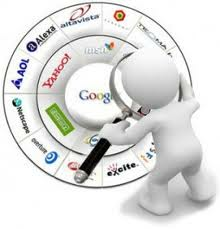 That's where search engine optimization SEO comes in. Our small business services provide affordable solutions to help people find your company, products and services online. SEO Small Business Package Statistics show that the majority of visitors to any website get there through a search engine. As a small business, it's critical that your website show up when people search for your key terms. Our SEO Small Business provides a short-term program of services designed for a small business SEO budget. It provides hands-on help optimizing your website for search, getting listed in the online local directories, and attracting links to your site.